The perfect drink to sip away the hours by the pool. Make a big batch and keep them in the fridge, when you get a hankering for something fun with a kick pour 6 ounces into a blender with ice (or you can shake them) and you are back at poolside in no time! I used frozen Passion Fruit puree (pulp it is sometimes called even though it looks more like juice) which is available at most latin grocery stores, but if you can get fresh ones all the better. In a large bowl add: 1 Cup of Simple Syrup*, 1 Cup of Passion Fruit Pulp (or juice), 1 Cup of freshly squeezed Lime juice, 1 Cup of Grand Marnier (or other orange flavored liquor) and 2 Cups of Tequila (I like reposado, but whatever you have will be just fine) for 2 drinks pour 6 ounces over about a cup of ice and either shake vigorously for 30 seconds or blend in a blender. For an extra kick you could sprinkle a little cayenne one top or salt the rims of your glasses. Cheers! * to make simple syrup add: 1 cup of sugar and 1 cup of water to a small saucepan over medium high heat bring to a simmer and cook until the sugar has dissolved – a few minutes. Chill before using. This entry was posted in Recipes and tagged cocktails, passionfruit, passionfruit margaritas. Bookmark the permalink. Margaritas! The vacation libation. We’ve been making peach margaritas (with clear anejo), seeing as we’re on Edisto Island SC this week. 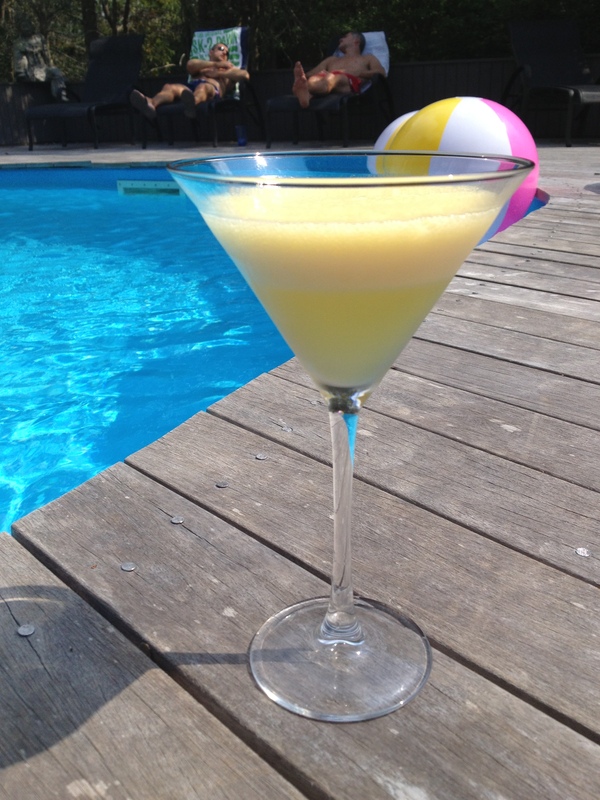 Passion Fruit would be the perfect for Fire Island Margarita. Am I right? Enjoy Edisto! I think Passion Fruit Margaritas are perfect for everywhere 😉 !